Ketchapp games are known to be simple yet attractive with gorgeous graphics & easy-to-use controls. Being a subsidiary of Ubisoft – the giant in the gaming world, the developer has everything needed to design the best mobile games; graphics technologies, talented programmers, etc. 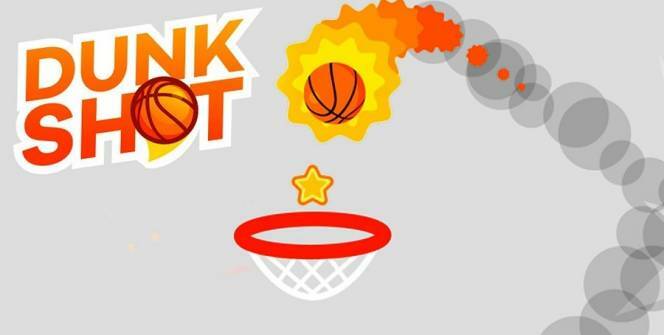 Dunk Shot, which is a burning hot arcade game, is one of their latest mobile games. In this article, we take a look at everything you would like to know about Dunk Shot, and we walk you through a step-by-step guide on how to install it on your Windows 7/8/8.1/10/XP or MAC computer. 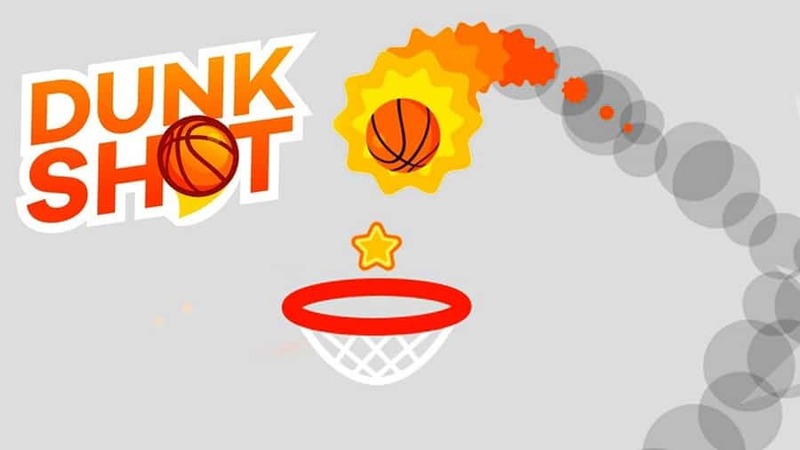 As the name suggests, Dunk Shot lets you shoot the ball in the basket and achieve as many points as you can. The game is designed based on the concept of basketball– a popular sports game in the US, and features an excellent gameplay style that can be compared to the one for Angry Birds. So are you ready to shoot the hoops and become the next basketball star? Then you need to install Dunk Shot for PC on your computer. You just need to get the best angle for a shot and then let the ball fly up, and into the basket. Then put the ball in the next higher basket on your screen, and it goes high and higher, until when you make a mistake and fail. The game is based on a system of physical motion, which you’ll have to get used to and learn how to control. Understanding the physical movements will also help you master your throws. The more stylish your throw, the higher the score you get and the better your chances of progressing in the game. For example, if you can throw the ball into the wall and get it back into the basket, you’ll get more points. But these throws can be difficult and requires one to get to higher levels fast. When you accurately throw the ball into the basket, it becomes larger and your score for the next shot increases. However, the game becomes more difficult. The baskets will suddenly start to move up/down or to the sides, and eventually in both directions, and at fast speed. Collecting certain stars can help you unlock new types of balls to use. You need at least 100 stars in order to unlock a new kind of balls. Moreover, you’ll be able to get some special balls by completing various tasks in the game. To get additional stars, just achieve the highest score. You can also watch in-game ads or share the game on Facebook. Show magic tricks by bending the ball in the air or even cause friction in the air and make smoke appear everywhere. Challenge anyone you want, wherever you want simply by going online and playing with friends and other random users from around the world. There’s no age limit for this fantastic game, and anyone with fast reflexes can master it in no time. 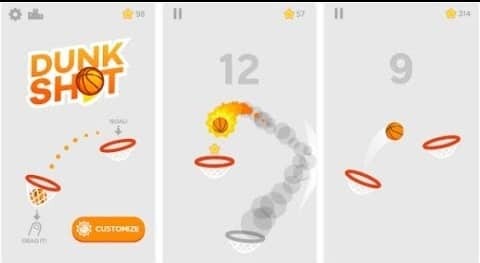 Dunk Shot is a game that emphasizes on technology and agility of the players. You are likely to throw many balls into the baskets if you can precise you aim, move fast and show some of the amazing tricks. To enjoy Dunk Shot to a good extent, we recommend that you install it on your computer. You’ll be able to play the game on a bigger and better desktop/laptop screen, and we guarantee that it will keep you entertained for hours. Sometimes when playing Dunk Shot, bluestacks ask you fee to pay but gives you option to download some apps. Every time it asks you just select “Install apps” and continue using it free. I hope you enjoyed this article, please rate and share. If you have problems running Dunk Shot on your desktop or any other issues, leave a comment below.